This badge was issued to Spencer Crum on 24 Jan 2019. Individuals who have earned this badge have participated in the interactive online course, Finding Your Best. 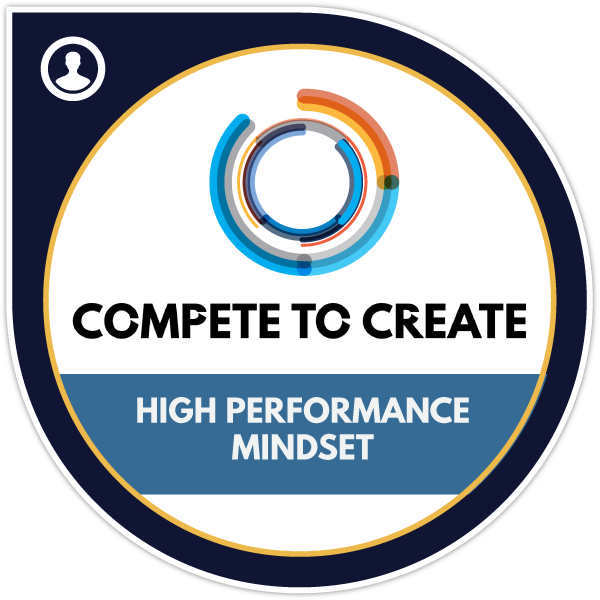 Earners have learned the fundamentals of high performance mindset training and culture including self-discovery, mindfulness, mindset skills, psychological frameworks and recovery. They understand mindset training best practices to apply mindset skills to aid in the enhancement of high performance and life purpose. Completed the Finding Your Best online course about high performance mindset training and culture.